Yes.. I now have purple hair. Well the truth is, I asked for a gray-ish silver shade, but my stylist insist going really vivid on the first coloring, and after a few wash the color will set into a nice shade I want. So… here it is, purple hair! About the outfit.. I think I’m really like into wearing white this year. I just realise I have a lot of white stuff in my closet, and I’m wearing them pretty often. 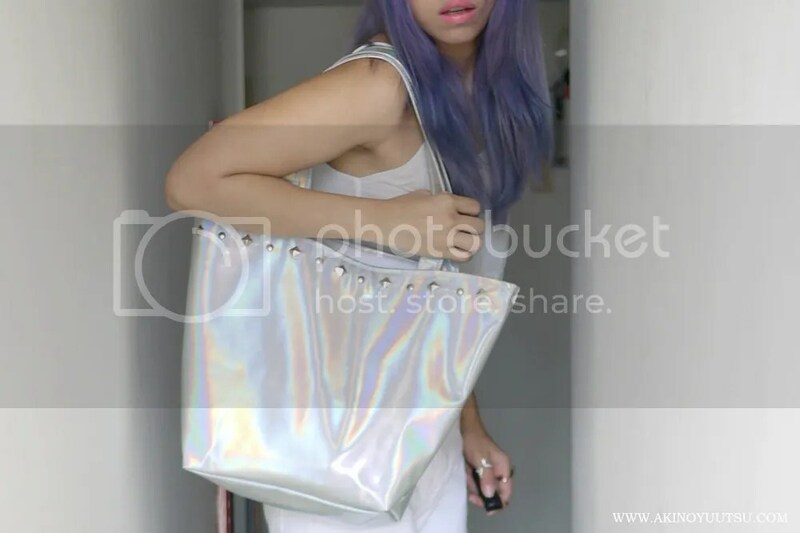 By the way, the hologram bag is one of my design.